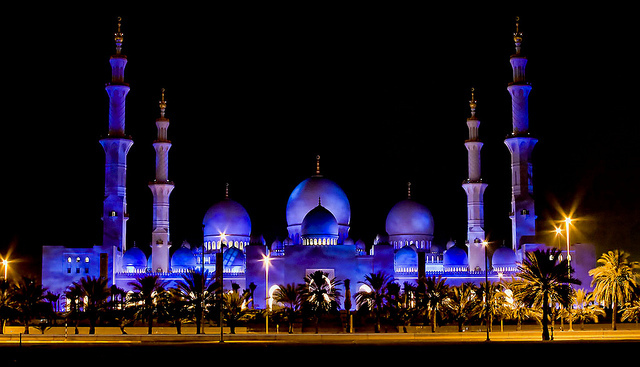 AbuDhabi has a variety of landmarks, easily accessible to the casual tourist. 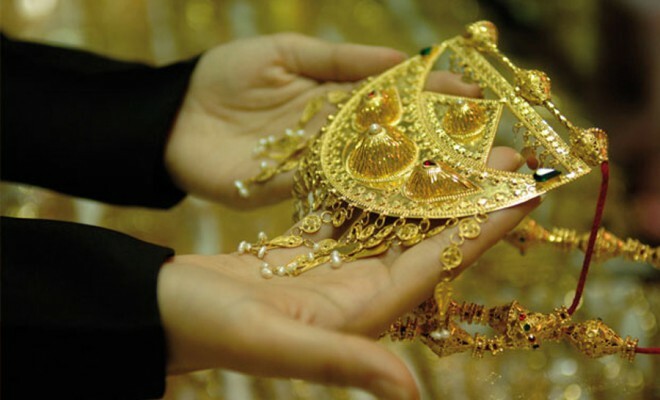 While the traditional design of mosques, palaces and forts are testament to Abu Dhabi’s culture and heritage, the contemporary look of modern skyscrapers, amusement parks and shopping malls are reflective of the emirate’s status as a fast-growing international city. Built as a landmark showcasing Arabian culture, Emirates Palace is a 5-star hotel that has created a niche in luxury hospitality. Situated on 1.3 kms of private beach and surrounded by 85 hectares of gardens and lawns, with 114 domes that are 80 meters high, Emirates Palace comprises 394 rooms and suites carefully designed and furnished to offer guests superior comfort and luxury. Many of the suites offered are furnished in gold and marble. 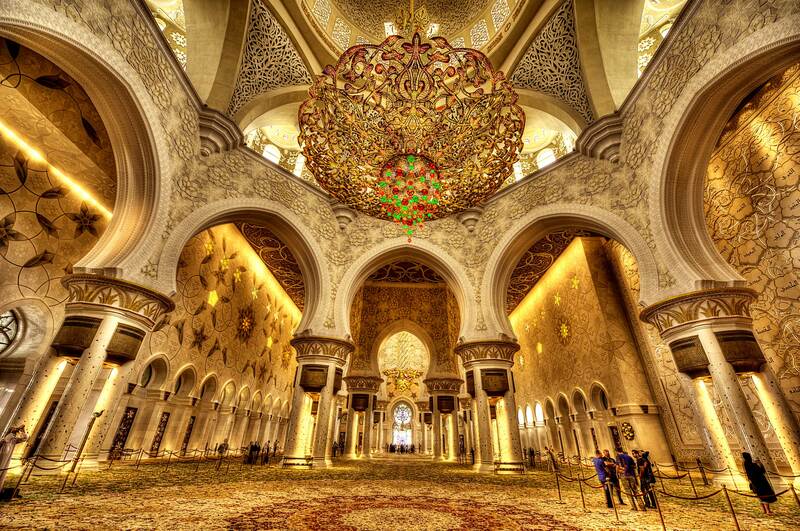 The main central building houses an expansive marble floor and a large patterned dome above, picked out in gold. The topmost floor has six Rulers’ Suites which are reserved solely for royalty and dignitaries. The hotel also contains a large conference centre with an auditorium capacity of 1100, in addition to over 40 meeting rooms and six large terraces. 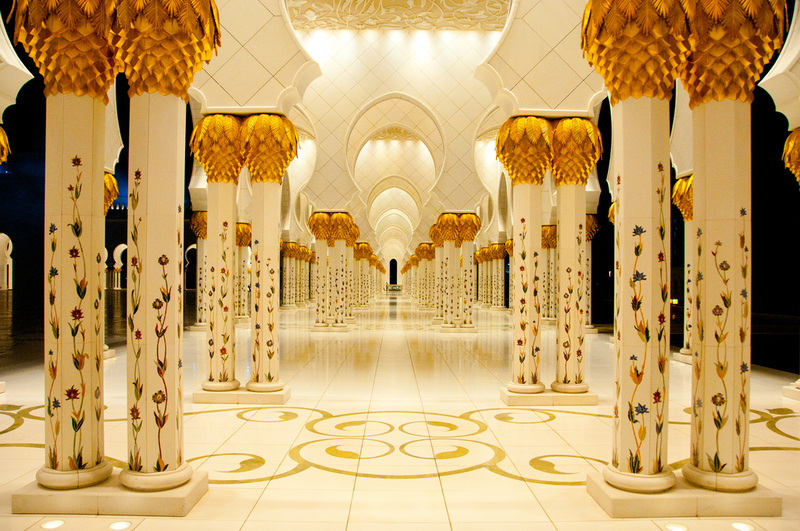 Sheikh Zayed Grand Mosque is the largest mosque in UAE and the main place of worship for Muslims in the country. 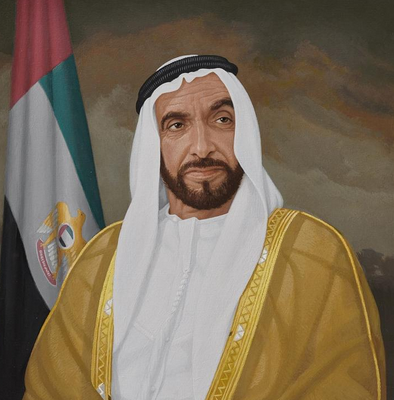 Itwas initiated by the Founding Father of UAE, His Highness Sheikh Zayed bin Sultan Al Nahyan, who wanted to establish a structure which unites the cultural diversity of Islamic world, the historical and modern values of architecture and art. The Abu Dhabi Corniche is the beachfront of the capital of UAE. It has several parks that cater to kids as well as adults. 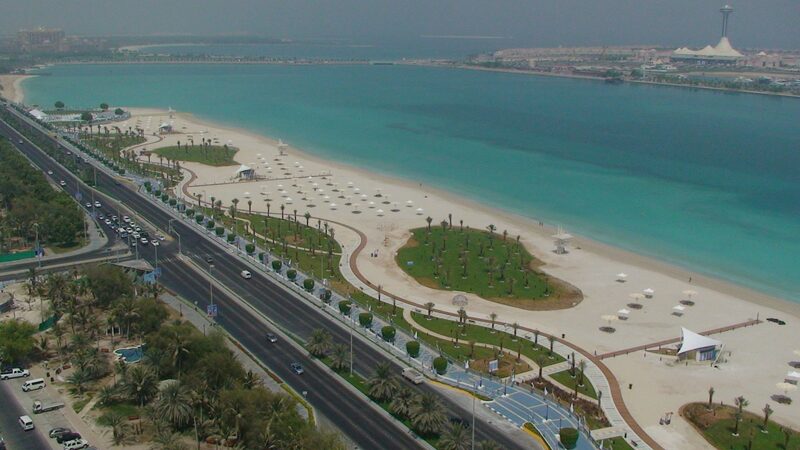 The stretch has two beaches namely the Corniche Beach and the Abu Dhabi beach. Furthermore, the Corniche includes a Family Park, Family Water Park, Urban Park, Lake Park, Formal Park and Recreation Park. The wee end of the Corniche has the opulent Emirates Palace hotel, where world leaders usually stay when they stay in Abu Dhabi. 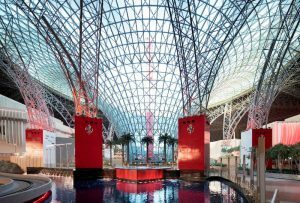 Ferrari World is the first Ferrari brand-based theme park in the world, holding a record for the largest space frame structure ever built. It is also home to the fastest rollercoaster in the world, Formula Rossa. The theme park attracts millions of visitors every year, being one-of-a-kind. It has something for everyone, from family shows and children’s rides to thriller rollercoasters for an adrenaline junkie. Ferrari World is largely an indoor theme park, where everything except rollercoasters are within the structure. If rollercoasters are on your bucket list at Ferrari World, it might be best to go between October and April, when the weather in UAE tends to be better. 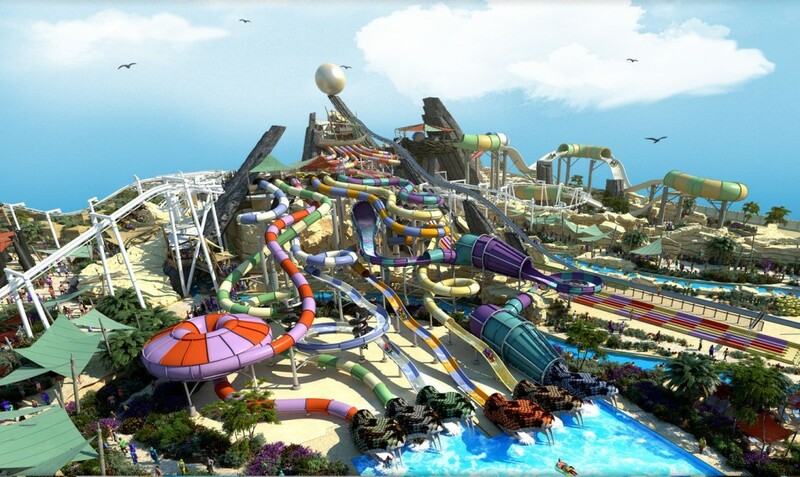 Yas Waterworld is one of the best water theme parks in UAE, situated in the capital of the country. The park has 45 rides and attractions, and was made as a tribute to the Emirati heritage of pearl diving. 5 of the rides in Yas Waterworld are record-holders – Bubble’s Barrel (largest surf-able sheet wave), Dawwama (first and largest hydro magnetic-powered 6-person tornado waterslide, Falcon’s Falaj (longest mammoth water ride in Middle East), Bandit Bomber (only suspended and water rollercoaster in Middle East) and Slither’s Slides (maze of slides and tunnels with LED lights and special effects). 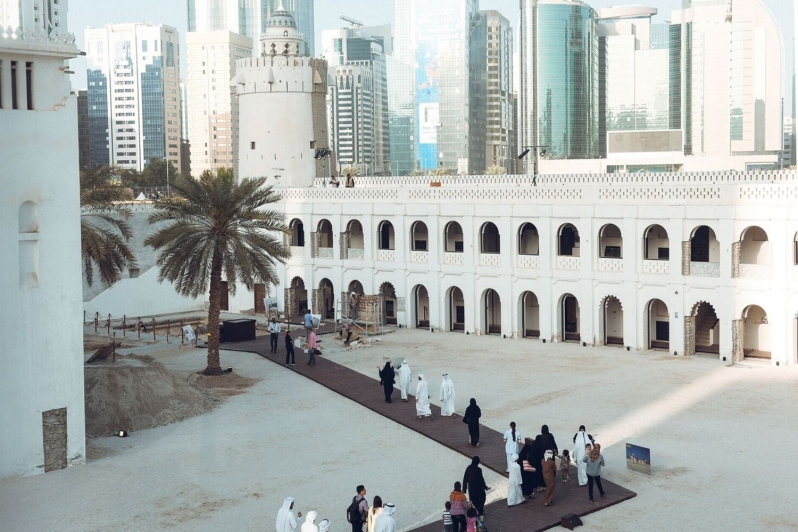 Host to the Emirati Heritage festival, more commonly known as ‘Qasr al-Hosn Festival’, Qasr al-Hosn is the oldest fort of Abu Dhabi that signifies the journey of the Emirate through time. A masterplan has been introduced to renovate the site to make sure it does not lose its significance and beauty. The fort was originally built in 1761 as a watchtower. 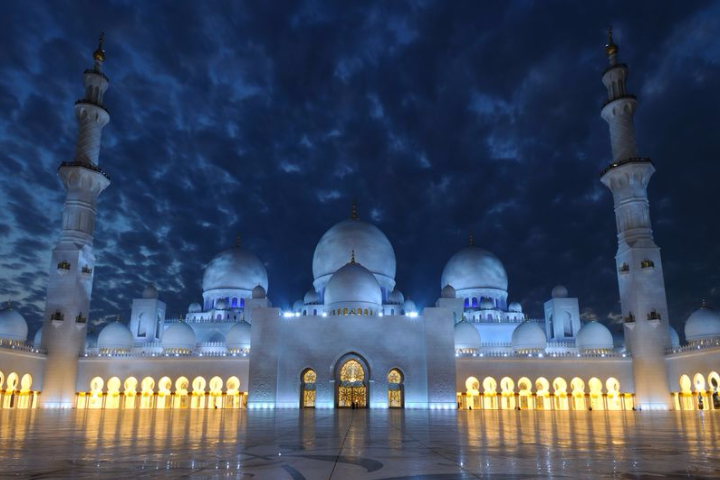 Abu Dhabi has gradually developed around the tower, making Qasr al-Hosn a cultural jewel in the heart of one of the most modern cities in the Middle East. 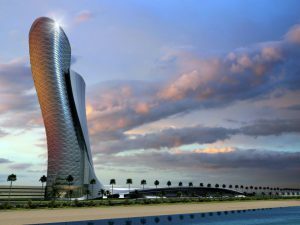 Etihad Towers is the name of a complex of buildings with five towers in Abu Dhabi, the capital city of the United Arab Emirates. 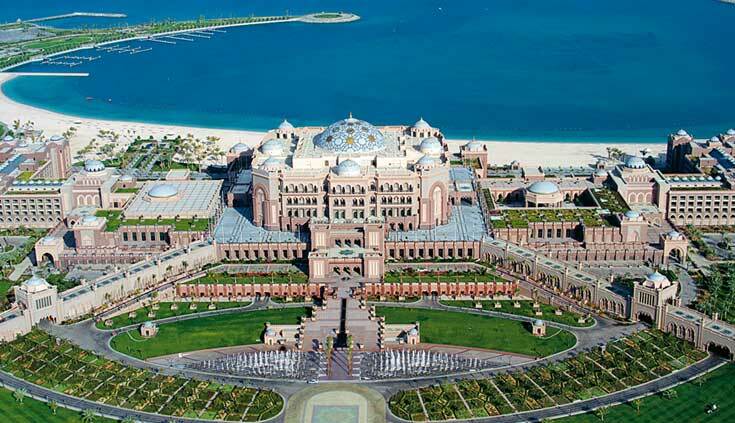 The towers are located opposite the Emirates Palace hotel and feature offices, apartments and a hotel. After years of planning and designing, the Etihad Towers project was commenced in 2006 and completed in 2019, with the topping out of Tower 2 and Tower 5. The estimated cost for the construction of these towers was AED 2.5 billion. 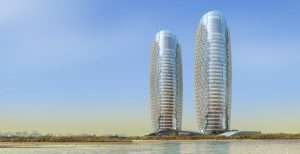 Since their completion, the towers have dazzled up the landscape of Abu Dhabi and are recognized as an important part of the city’s skyline. The Yas Island development project was initiated in 2006 by Abu Dhabi-based Aldar Properties, with the aim of turning the island into a multi-purpose leisure, shopping and entertainment center at an estimated total cost of over USD 40 billion. This investment was planned as a multi-staged project to unfold in phases until 2018, with project stakeholders foreseeing the possibility of extending development by adding new venues and upgrading existing facilities. 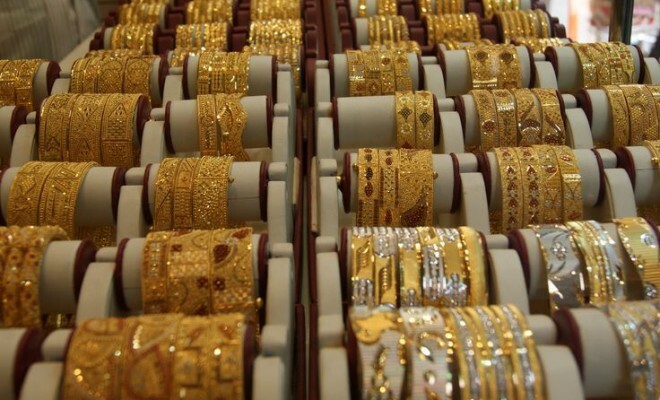 It occupies a total land area of 2,500 ha (25 km2), of which 1,700 ha will be claimed for development. 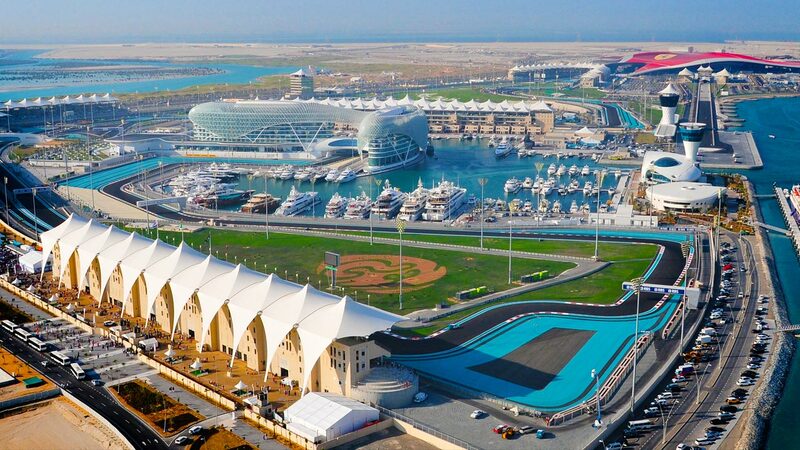 Yas Island is home to the Yas Marina Circuit, Ferrari World Abu Dhabi. Yas Waterworld, Yas Beach, Yas Mall, Yas Links, and a number of other major entertainment and leisure spots in Abu Dhabi. Saadiyat Island is being developed by the Tourism Development & Investment Company (TDIC), an independent public joint stock company of which Abu Dhabi Tourism Authority is the sole shareholder. TDIC’s strategy is to dispose of development land on the island to private investors who will each develop their sites in accordance with the masterplan and supporting planning regulations and design guidelines. The Saadiyat Island is a major cultural and entertainment hub in Abu Dhabi, hosting the Saadiyat Marina, Saadiyat Beach, Saadiyat Cultural District, Saadiyat Lagoons, Saadiyat Reserves and Saadiyat Retreat. Moreover, the development of major projects like the Lourve Museum Abu Dhabi and the Guggenheim Museum Abu Dhabi are being overseen at Saadiyat Island. The Aldar Headquarters stands as an iconic building in Abu Dhabi, being the first of its kind in the Middle East. It is a circular structure, which is designed as two convex facades linked by a band of indented glazing running in between. The building is located in Al Raha in Abu Dhabi, and serves as the main office of the mega real estate company Aldar Properties. 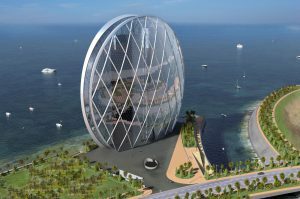 The Aldar HQ was designed based on the mathematical concept of the Golden Ratio. In 2008, the Building Exchange Conference held in Valencia declared this building as the “Best Futuristic Design”. The Abu Dhabi National Exhibition Centre (ADNEC) is the largest exhibition centre in the Middle East with a total space of 133,000 square metres, which includes the indoor event space and outdoor space. It was designed by RMJM and opened in 2007 by Sheikh Khalifa bin Zayed bin Sultan Al Nahyan, President of UAE and Ruler of Abu Dhabi. The building is unique because of the curved tower at one, with a façade constructed out of metal and glass and textured with a scale-like surface. Al Bahr Towers are two identical 145-metre high towers, located at the eastern side of Abu Dhabi. Inaugurated in 2012, both the towers serve as the office of important organisations. One tower is the headquarters of the Abu Dhabi Investment Council (ADIC), an investment subsidiary of the Abu Dhabi Government, while the other tower is taken over by Al Hilal Bank as their headquarters. The most unique feature of the towers is their protective skin of 2,000 umbrella-like glass elements that automatically open and close depending on the intensity of sunlight. The geometric wooden lattice windows have been inspired by the Arabic architecture technique of Mashriya, which gives the modern-day towers an ethnic element. The Louvre Abu Dhabi is a testament to what is an unprecedented alliance between UAE and France, through one of the highest level of cultural cooperation ever created between two sovereign countries. Confirming its universal nature, the intergovernmental agreement signed by UAE and France in 2007 was the foundation of this collaboration. The Louvre Abu Dhabi will present major objects from the fields of archaeology, fine arts and decorative arts. It will also represent all regions, periods, including contemporary art and the narrative of art history, and is intended to be a place of discovery, exchange and education. 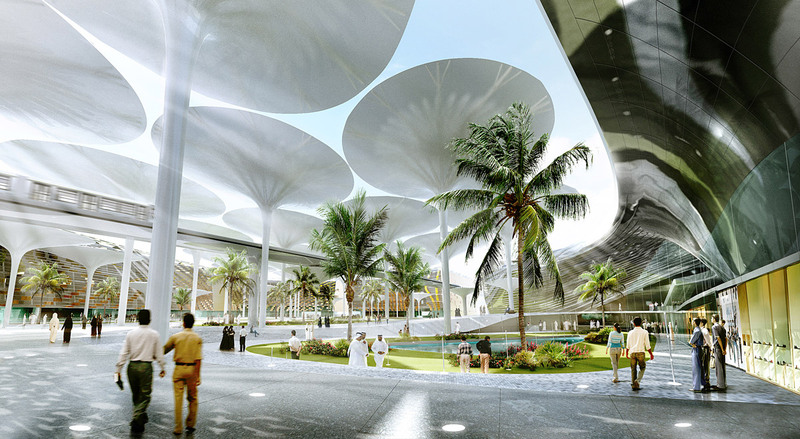 Masdar City is planned as a sustainable mixed-use development designed to be very friendly to pedestrians and cyclists. The development of the city was initiated in 2006. Solely relying on solar energy and alternative renewable sources of energy, Masdar City is designed to be a hub for cleantech companies. Its core is being built by Masdar, a subsidiary of Mubadala Development Company, with the majority of seed capital provided by the Government of Abu Dhabi. Masdar City is being constructed 17 kilometres south-east of the city of Abu Dhabi, beside Abu Dhabi International Airport.